Swimming and Diving: The Cardinal swimming team completed its first day of competition at the Michigan Open in Canham Natatorium in Ann Arbor, Michigan with five wins and another school record. In the 200-free relay, the foursome of Rachael Lewis (23.40), Johanna Cowley (23.27), Andrea Cottrell (23.30) and Mary Mittel (23.27) combined for a 1:32.91 and a second place finish. The men’s 200-free relay won with a time of 1:20.98 as Rudy Edelen (23.73), Aaron Young (20.38), Pedro Coutinho 19.98 and Trevor Carroll (19.89) touched first. of L women took four of the top five spots in the 200-IM led by winner Tanja Kylliainen’s 1:59.68. Andrea Cottrell was second in 2:01.63, with Abigail Chin touching fourth in 2:02.40 and Lucy Kramer touching in 2:04.83 for fifth. For the men, Evan Noble won the event with a time of 1:47.81, with teammate David Boland touching second in 1:48.70 and Ryan Massey was fourth in 1:50.13. Volleyball: Senior hitter Emily Juhl had 13 kills to lead the University of Louisville to a 25-12, 25-15, 25-22 sweep over the University of Cincinnati in AAC volleyball action on Senior Night at the KFC Yum! Center. Louisville remains unbeaten in the AAC at 16-0 and improves to 21-7 overall. The Cardinals hit .343 for the match. Janelle Jenkins hit .474 with 10 kills and Randi Ewing contributed seven kills and hit 1.000 for the match. Katie George had 41 assists and Maya McClendon and Caitlin Welch each added 16 digs. Football: Led by Teddy Bridgewater, who threw for 220 yards and a touchdown, No. 21 Louisville beat Memphis 24-17. Dominique Brown would have 54 yards and a TD and Senorise Perry added 51 on the ground. Damian Copeland would catch 7 balls for 55 yards and Devante Parker caught 1 pass for 39 yards and a TouchDown. On defense Senior Preston Brown led the team with 8 tackles and 1 fumble recovery for a Touchdown. Marcus Smith, Sheldon Rankins and Lorenzo Mauldin all added a sack. Charles Gaines recorded an interception as well. James Burgess has 6 tackles with several being in goal line instances. John Wallace was 1-2 from FG and 3-3 on XP. The Cards have a bye week this week. Men’s Basketball: Chris Jones scored 15 points to lead No. 3 Louisville to a 71-57 victory over Fairfield on Saturday in the Hall of Fame Tipoff Tournament. Montrezl Harrell added 12 points and 11 rebounds for the Cardinals (5-0), who extended their winning streak to 21 games, including last season’s run to the NCAA championship. Louisville, which was playing its first game away from home this season, got a balanced scoring effort. Wayne Blackshear had 11 points and Russ Smith added 10 points and seven rebounds. Luke Hancock, who has been recovering from a strained left Achilles, had nine points in 17 minutes, and was 7 of 7 from the foul line. 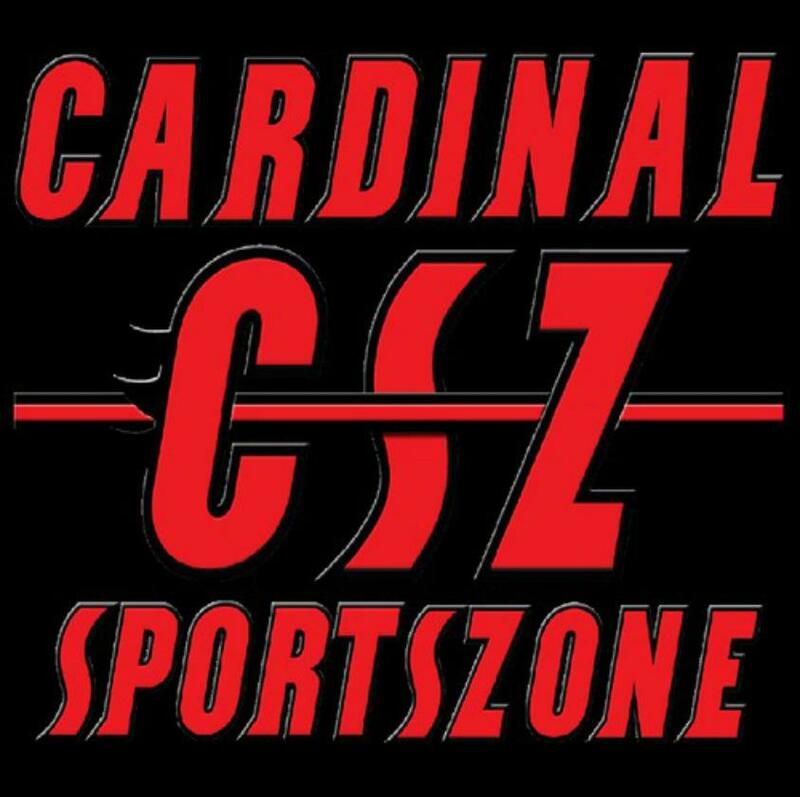 Swimming and Diving: The Cardinals won seven races during the Day 2 finals at the Michigan Open Saturday night at Canham Natatorium in Ann Arbor, Mich. The evening started out with the 200-medley relay and the Cardinals put up a second place time of 1:39.04 posted by Krissie Brandenburg (25.09), Andrea Cottrell (27.70), Kelsi Worrell 23.60 and Rachael Lewis (22.65). The men also finished second in the 200-medley relay, with Evan Noble (22.12), Brennen Berger (24.82), Pedro Coutinho (21.42) and Caryle Blondell (19.20) posting a 1:27.56. In the 400-IM, Abigail Chin shaved three seconds off her prelim time to post the winning time of 4:15.83. Carly Munchel was third, going 4:20.93. The Cardinal men’s top finish was a third place by Ryan Massey, who posted a 3:52.74 and Bret MacKenzie’s fourth place finish of 3:56.15. Men’s Cross Country: University of Louisville’s Tyler Byrne concluded his record-setting cross country season with another historic feat. The redshirt junior clocked a top-15 school mark and raced to All-America honors behind a 29th-place finish at the NCAA Championships on Saturday afternoon at the Wabash Valley Family Sports Center in Terre Haute, Ind. By finishing in the top 40, an 86-place improvement from his national championships debut in 2010, Byrne became the school’s third All-American in cross country (Cory Thorne, 2007 and 2009; Wesley Korir, 2007). He completed the 10K course in 30:37.8, the 15th-fastest time at that distance in school history. Women’s Basketball: Asia Taylor scored six points in overtime along with making an assist that helped No. 4 Louisville pull away for a 69-59 victory over Florida State on Sunday. Shoni Schimmel added a 3-pointer en route to 21 points as the Cardinals (6-0) outscored the Seminoles (4-1) 15-5 in Overtime. The Cards overcame a 19-4 run by the Seminoles to start the game. Men’s Basketball: Russ Smith had 36 points for Louisville (5-1). Chris Jones added 20 points in a 93-84 loss to the Tar Heels in the final of the Hall of Fame Tipoff tournament. Montrezl Harrell added just five points and 10 rebounds. Men’s Soccer: the No. 17 Louisville men’s soccer team saw its season end when 11th-seeded Michigan State converted the game-winning goal with just 3:31 remaining in the second overtime period for a 1-0 victory in Sunday’s NCAA Championship second round match at DeMartin Soccer Complex. The Cardinals ended their season with an 11-5-4 record overall after making their seventh straight NCAA Championship appearance. 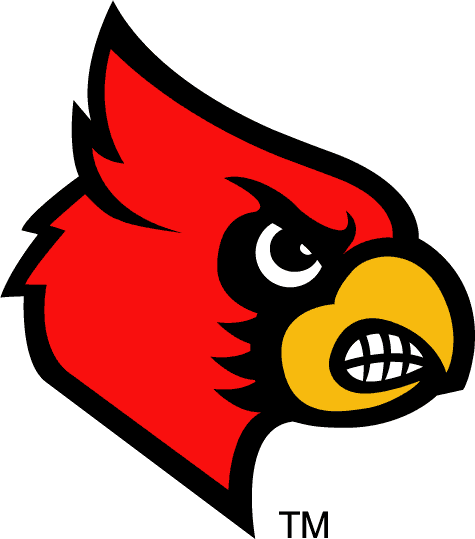 Swimming and Diving: The University of Louisville swim team completed the final session of competition at the Michigan Open in Canham Natatorium in Ann Arbor. Opening the evening was the 1650-free where Carly Munchel finished second with a time of 16:43.29 for the Cardinal women. The men’s 1650 was won by Cardinal Bryan Draganosky’s 15:24.55. In the 200-back, Mackenzie Buss took top honors with the winning time of 1:58.00 and Abigail Chin was second with a time of 2:00.55. In the men’s 200-back, Aaron Greene was second in 1:45.06, followed by Juan Lopez at 1:45.15, Nicholas Hasemann at 1:45.16 and Ryan Massey at 1:48.16 for fifth. Nolan Tesone was sixth in 1:49.26, Evan Noble was seventh in 1:49.77 and Victor Borduchi was 8th in 1:49.78. In the 100-free, U of L took the top four spots led by Andrea Kneppers (50.05), followed by Johanna Cowley (50.94), Breann McDowell 51.27 and Mary Mittel (51.42). Caryle Blondell won the men’s event with a 43.62, followed by Brooks Wilmoth’s 44.80 who tied Aaron Young at 44.80. Rudy Edelen was fourth with a time of 44.91. In the 200-breast, Kameron Chastain turned in a first place swim of 1:59.53, Brennen Berger was second in 2:00.56, Thomas Dahlia was third in 2:00.85, Dexter Thomas was fourth in 2:02.55 and Addison Bray was fifth in 2:03.08. Gisselle Kohoyda won the 200-breast with a time of 2:13.90, followed by Andrea Cottrell (2:14.43. Lucy Kramer was fourth in 2:17.28. In the 200-fly, Louisville’s Tanja Kylliainen won with a time of 1:54.13 followed by teammate Kelsi Worrell’s 1:55.77 and Devon Bibault’s 1:59.17. The men’s 200-fly, Cardinals’ Joe Brown was second in 1:48.38, Juan Lopez was third 1:48.61 and David Boland was fourth in 1:48.99. Joshua Quallen was fifth in 1:49.15 and Bret MacKenzie was sixth in 1:50.63. In the 400-free relay, the foursome of Kelsi Worrell (49.03), Krissie Brandenburg (51.48), Andrea Kneppers (50.20), Johanna Cowley (50.45) posted a first place time of 3:21.16. The men’s 400-free relay finished first with a time of 2:53.97 posted by Joao De Lucca (42.39), Caryle Blondell (44.20), Aaron Young (43.47) and Brooks Wilmoth (43.91). This has been your weekend in review….take care and Go Cards!